PRAISE FOR THE WEB PAIGE CHRONICLES: "Web Paige Chronicles offers a refreshing and empowering role model for young adults. 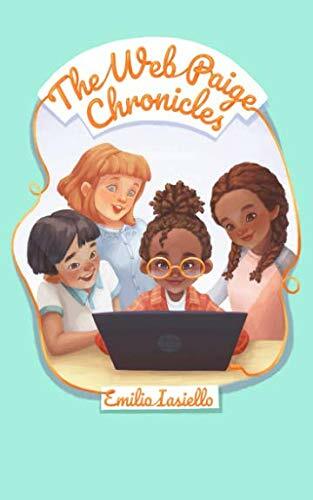 By eschewing this iGeneration’s stereotypical malaise in favor of positive curiosity with technology, Iasiello folds practical cybersecurity guidance into a relatable story." -Scott Schober, author of Hacked Again Emilio Iasiello is a cyber-security expert who has written a modern and realistic coming-of-age book that either boys or girls will enjoy. It helps them learn to deal with such modern problems as cyber bullying, hacking, sexting, online predators and more. Though the main characters are junior high aged, older readers will enjoy this quick read, and learn a great deal about safely negotiating modern technology. Highly recommended for schools and parents to share with their tweens and teens--or their cyber-leery friends. Wilhelmina Evangeline Beatriz Paige is better known as “Web” to her friends because of her seemingly endless knowledge of computers. Always eager to lend a hand, she takes pride in helping the “technically-challenged” in her neighborhood as part of her “pay-it-forward” philosophy. But when her closest friends become the targets of cyber bullying and online predators, Web realizes that safely navigating the Internet is more than just using strong passwords and antivirus protection. By helping those who can’t help themselves, Web embarks on a journey through which she learns things from not only her friends, but also strangers, adults, and most importantly, herself.